This is the stuff that Wizzy is up to. and maybe why. 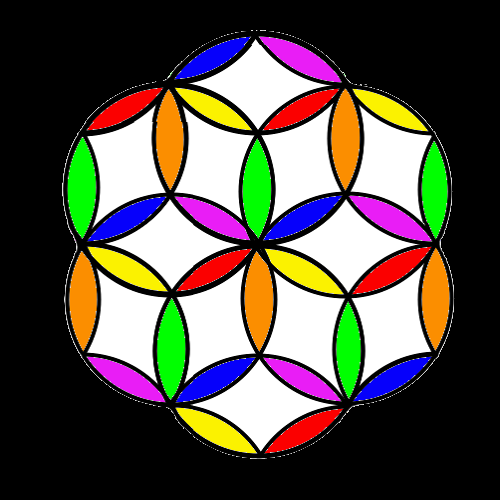 Perhaps you are familiar with Drunvalo Melchizedek’s Flower of Life. This is not that. This is the Trillium Seed of Life. 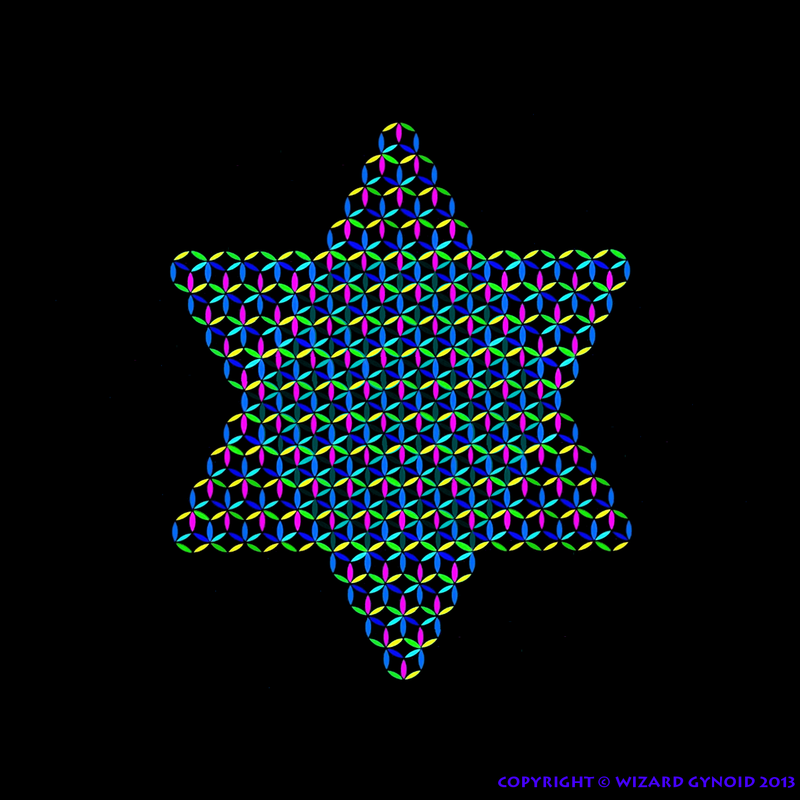 It is based on a 3-fold symmetry and incorporates three Vesica Piscis. From this we can build the Trillium Fruit of Life. 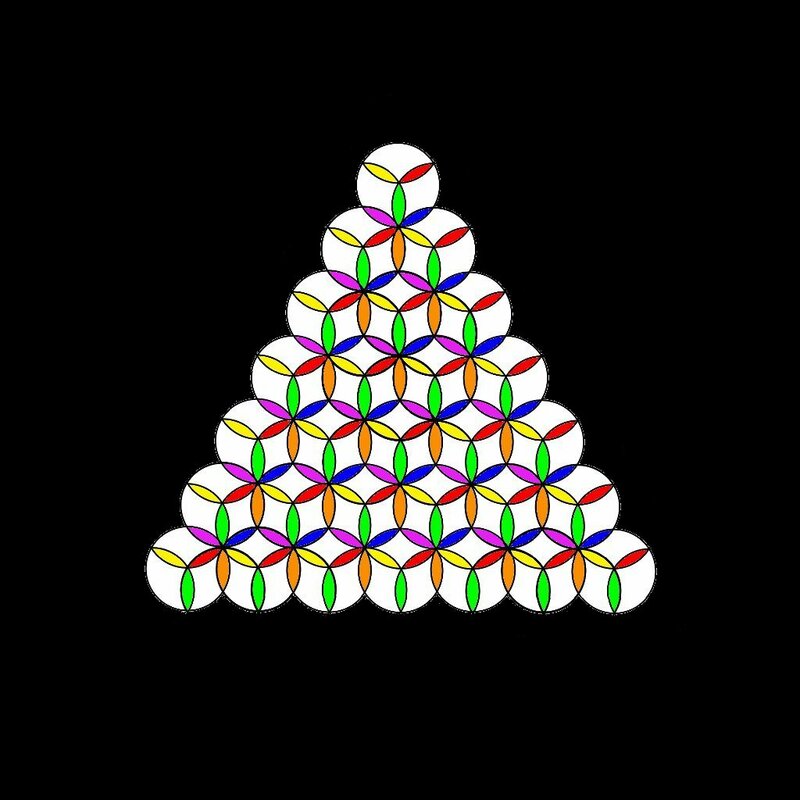 This can be used to build the Trillium Flower of Life. 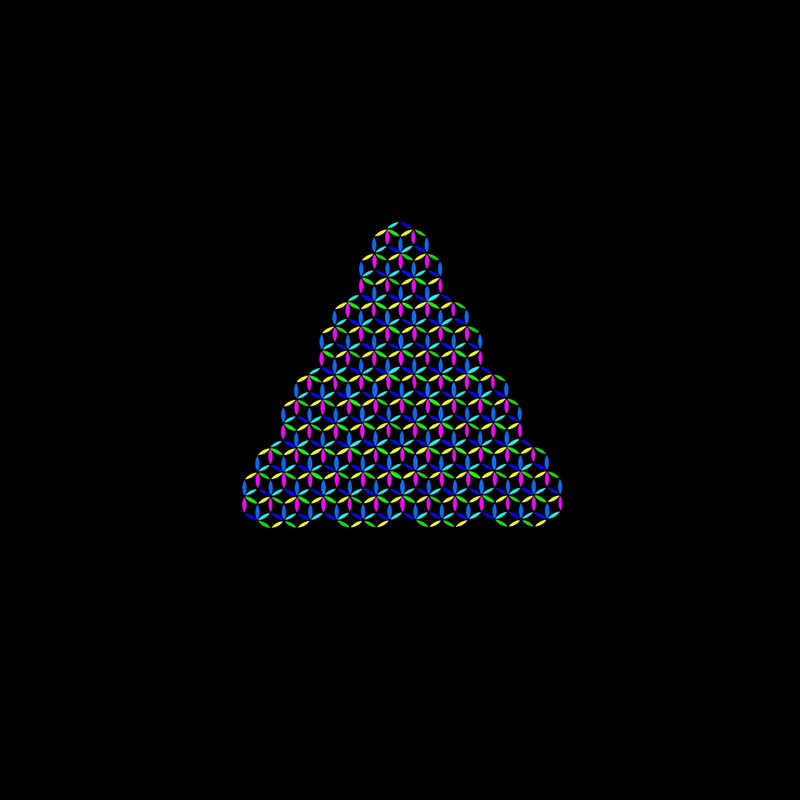 With a little bit of work, this can be generalized into an equilateral triangle, then a second reversed triangle is superimposed over it. This gives us the Trillium Merkaba of Life. 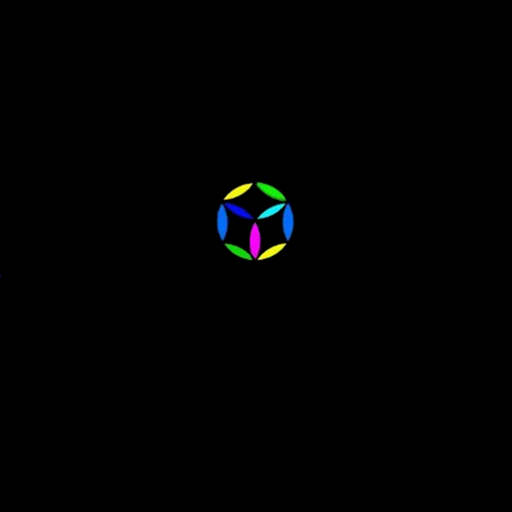 Notice how the area of intersection has reverted to the traditional six-fold Flower of Life geometry, whereas the points retain the Trillium three-fold symmetry. 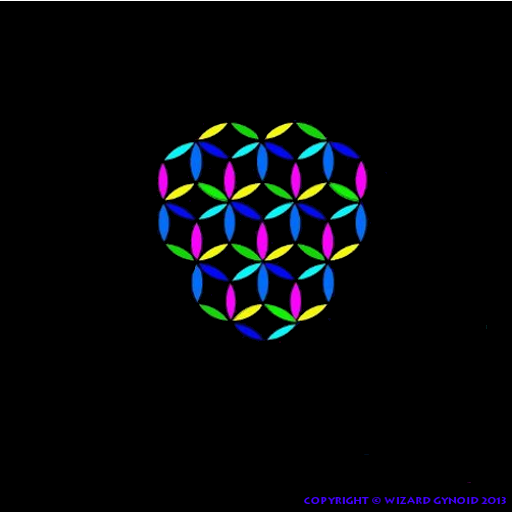 Some of you are familiar with the Seed of Life and the Flower of Life that we find in the discipline of Sacred Geometry. But wait, there’s something wrong with this. It’s not the Seed of Life we are familiar with. 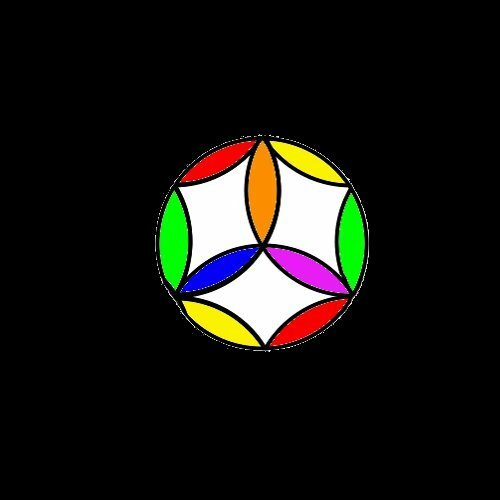 This is similar to the Seed of Life we are familiar with, but there’s something slightly off. I call this the Trillium Flower of Life. This flower is of the Trillium family, in that it has only three-fold symmetry. As far as I am aware, this is an original discovery. A citizen of the Omniverse. How Many Avatars Can Sit on an Umbrella? New High Def Video of my E8! I’m a twit named wizardgynoid.